In the construction industry, output continued to recover following a weak start to 2018, which was in part impacted by the adverse weather. Output increased by 2.1% in Quarter 3 2018 – the fastest increase since Quarter 1 (Jan to Mar) 2017. 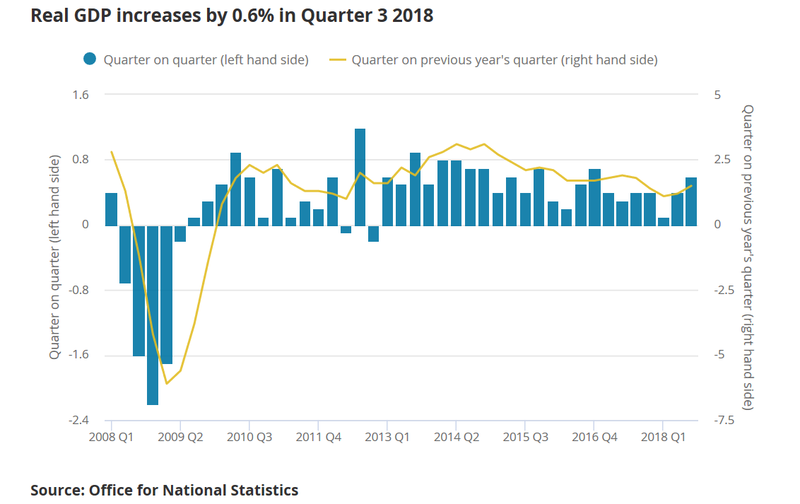 Output in the production sector rose by 0.8% in Quarter 3 2018, following a decline of 0.8% in Quarter 2 (Apr to June). While output increased across all four main production sectors, around half of total production growth in Quarter 3 was driven by manufacturing. Following two consecutive quarters of decline in the first half of 2018, manufacturing recovered in Quarter 3 to rise by 0.6%. In the services industries, output growth eased to 0.4% in Quarter 3 2018, contributing 0.3 percentage points to growth in GDP. 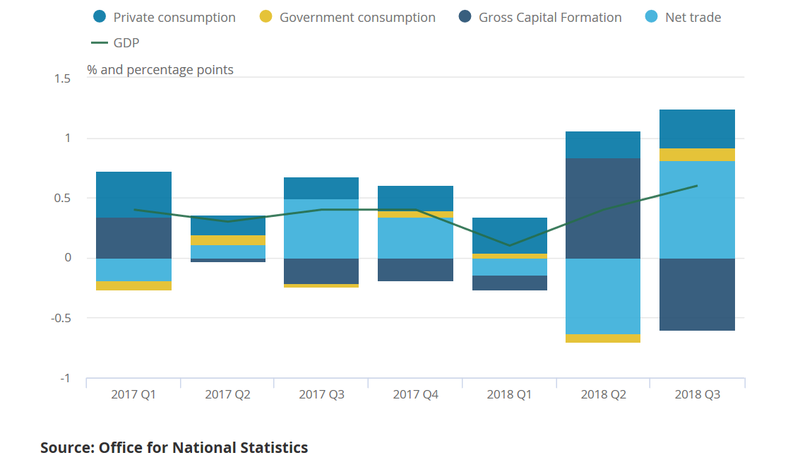 This is in line with average rates seen since the start of 2017, following the relatively strong growth of 0.6% in Quarter 2 2018. 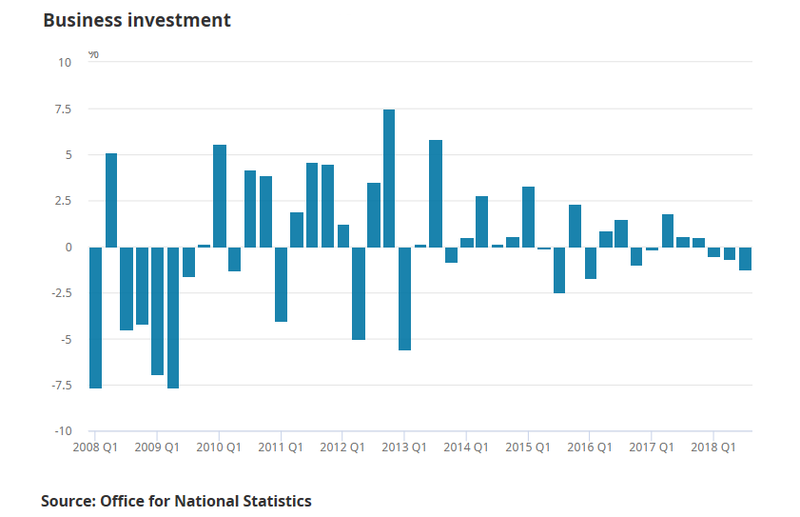 Household spending grew by 0.5% while business investment fell by 1.2% between Quarter 2 and Quarter 3 2018. Net trade contributed 0.8 percentage points to GDP growth in Quarter 3 2018, with a 2.7% rise in exports and flat growth in imports. Nominal GDP increased by 1.1%, driven by growth in compensation of employees of 1.3% in Quarter 3 2018.